Smartphones get more impressive year by year with better chipsets, better software, and more capable cameras. There are dozens of smartphones to pick from in the Android world, and selecting the best is actually pretty tough. As the year comes to a close, what phone would you give the award for the best Android smartphone of 2018? 2018 has seen a whole lot of smartphones hit the market. We’ve seen powerful flagships like the Galaxy Note 9, incredible cameras with the Pixel 3 and Mate 20 Pro, gaming heaven with the Razer Phone 2, and impressively cheap devices with the likes of the Pocophone F1. There are simply too many devices to pick from that came out this year to truly pick out a list of everything, so we’ve compiled a list of some of the best contenders from the year which are widely available below. If there’s anything you think should have been included, drop a comment below and let us know what it is and why. For 9to5Google, one of our biggest focuses of 2018 has been the latest generation of Google’s Pixel lineup. The Pixel 3 and Pixel 3 XL are far from perfect, but they fix some of the issues from the Pixel 2 family, add welcome features like wireless charging, and bring even better cameras too. From our point of view, they’re still some of the best smartphones on the market. OnePlus has skyrocketed over the past couple of years and the company’s 2018 releases in the form of OnePlus 6 and OnePlus 6T have been nothing less than spectacular. While they don’t quite get the polish some other devices get, they both managed to pack top-tier specs and excellent software and performance in an affordable package. Especially with its arrival on T-Mobile, OnePlus is an easy contender for the best Android smartphone of 2018. Released early on in 2018, the Galaxy S9 family is a strong set of devices for Samsung. Building on the Galaxy S8’s foundation, these devices offered improvements to the design, cameras, and performance/software too. On top of that, they also managed to keep affordable price points, something we’re struggling to see as 2019 approaches. The Galaxy Note series has long proven to be one of the devices to look forward to year after year, and 2018’s Galaxy Note 9 has been no exception to that. 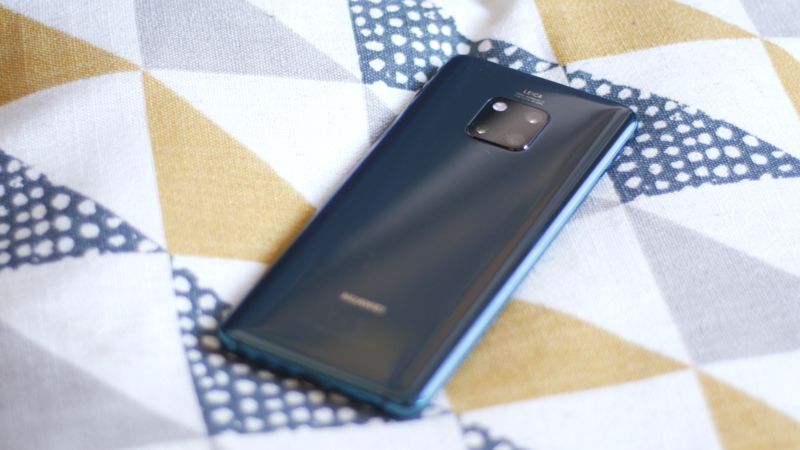 Packing the latest specs and a refined overall experience, the Note 9 has more to offer than most phones in its class in pretty much every way. It’s a truly impressive smartphone across the board. While it’s never arriving in the United States, the Huawei Mate 20 Pro swooped in during late 2018 with high praises from basically everyone. In our review, Damien Wilde called it “one of the most fully loaded devices out there,” and that’s incredibly true. It packs a nearly bezel-less display while keeping a huge battery, wireless charging, advanced facial recognition, and basically every feature under the sun. The “gaming phone” genre made headlines starting with the original Razer Phone in 2017 and it’s since seen many options. In the second half of 2018, the Razer Phone 2 launched to fix many of the original’s ailments. Personally, I see this device as a solid option for any user, but a perfect selection for those addicted to the latest games. Early in the year, Huawei turned heads with its Huawei P20 Pro for a few reasons. Firstly, it saw one of the first triple-camera arrays on a smartphone, but it also offered a great design, improved software, and more. It went on to sell over 16 million units through the year even though it’s not sold in the US. While they floated under the radar for the most part, LG offered up two contenders for the best Android smartphone in 2018 with its LG G7 ThinQ and LG V40 ThinQ. These two devices evolve on the company’s past launches with newer specs, better cameras, and useful features such as the “Boombox” speaker. Personally, they aren’t my pick for 2018’s best Android phones – far from it in fact – but it’s hard to deny that they’re excellent options, especially given the price drops. As far as pricing goes, 2018 has seen more devices hit four-digit price tags than ever before. That’s why the Pocophone F1 from Xiaomi made headlines when it launched earlier this year. Released in quite a few markets around the globe, the device offered a meddling design, but killer specifications and support from developers for a price tag of around $300. As far as budget releases have gone, 2018 hasn’t seen quite as many notable launches. One that got our attention, though, has been the Nokia 7.1. At $349, it brings Android One and an excellent build to an affordable price point for people around the world. It even launched in the United States. Over the years, Motorola’s Moto G line has been one of the best affordable Android releases of the year, and the Moto G6 family is another excellent option. With pricing around $200, users get a device with capable specs, solid design, and software that’s intuitive and clean. Updates may be lacking, but the Moto G6 is an excellent device, hands-down. Best Android smartphone of 2018: What’s your pick? Now that we’ve gone over the contenders, what would you give the award to? An array of polls are laid out below for the best Android smartphone, best camera, best affordable option, and best “underdog.” Leave your votes and let’s chat in the comments about 2018’s Android phones!